Glitchy connectivity and too few monitor check-ins make for an unreliable sensor. 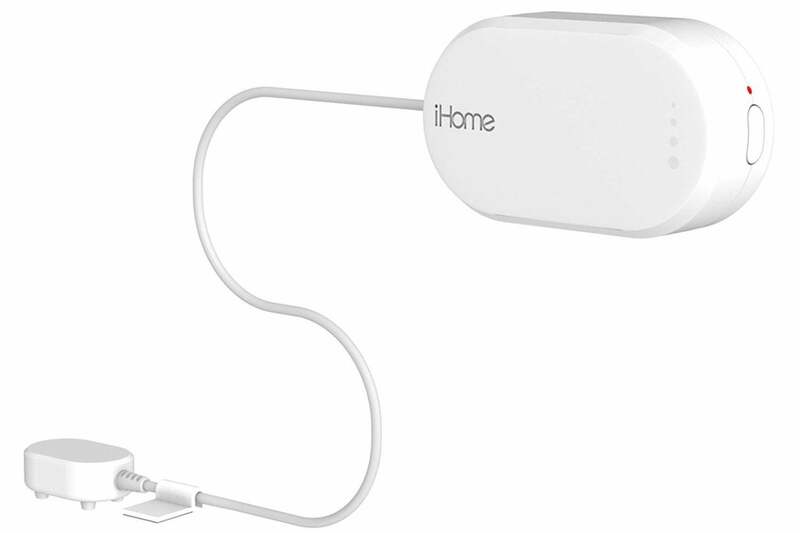 iHome’s iSB02 Wi-Fi Dual Leak Sensor doesn’t live up to expectations. Where it should provide peace of mind and convenience, clunky setup and a glitchy app, along with inconsistent monitoring, make this sensor more hassle than it’s worth. That’s unfortunate, because few things are more devastating in a home than water damage. From dripping faucets to full-on floods, catching leaks early can save a lot of time and money and prevent damage from spreading too far. Leak sensors can serve as a first alert when water makes its way where it shouldn’t. This one doesn’t meet that standard. I didn’t expect this based on its spec chart. The iSB02 is battery powered, so you can place it anywhere within range of your Wi-Fi router. 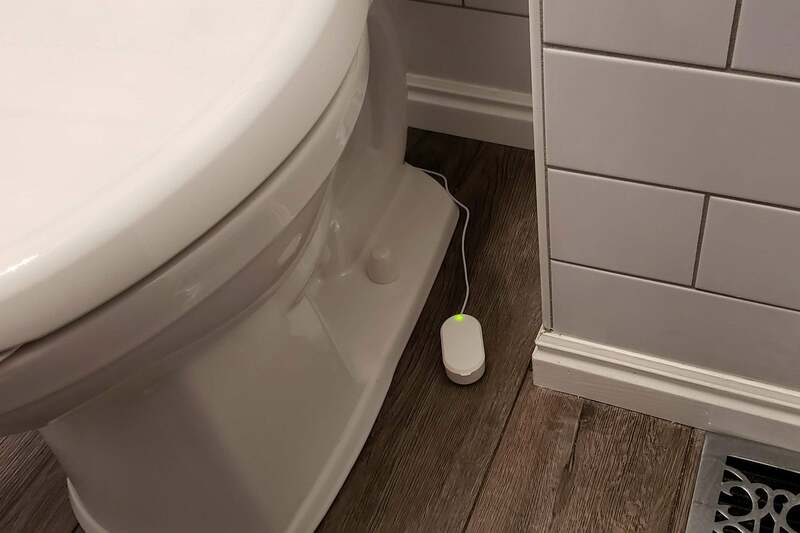 And it’s outfitted with dual sensors—one on its body and the second at the end of a six-foot cable—enabling you to monitor two areas at the same time: Under a bathroom sink and next to a toilet, for example. An onboard alarm will notify you of a leak even if your smartphone is turned off. But in my experience, this sensor failed at its primary mission: To inform me of a water leak. The iHome iSB02 Wi-Fi Dual Leak Sensor is attractive and has an impressive spec sheet, but its performance doesn’t live up to expectations. To eliminate the chance that my poor experience was tied to my mobile device, I set up the iHome iSB02 sensor using two different mobile devices. One word of warning: when you put the two included AA batteries in, the primary sensor sometimes emits a loud beeping, which will continue until you press the reset button on the bottom. I say “sometimes” because there didn’t seem to be any rhyme or reason to when it beeped. I removed and replaced the batteries a few times and there didn’t seem to be much of a pattern. 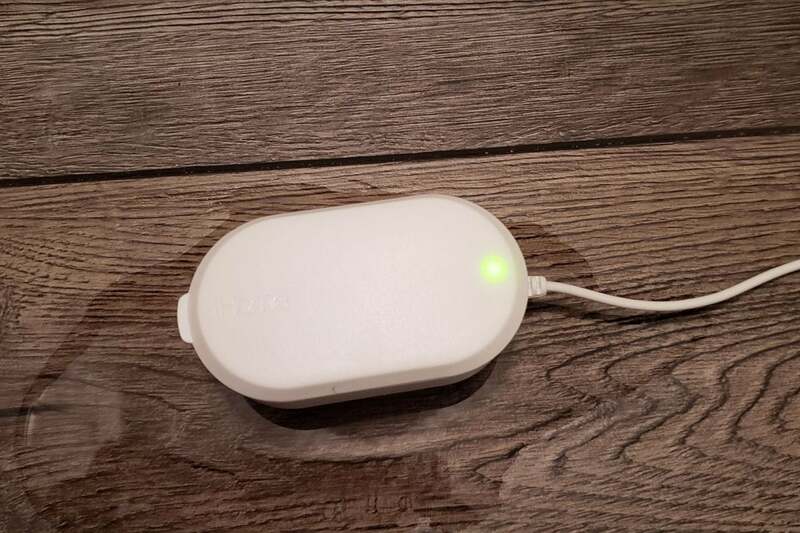 Once the batteries are in, you follow step-by-step instructions in the iHome app to connect your sensor to 2.4GHz Wi-Fi network (it is not compatible with 5GHz networks). You’ll be prompted to choose your device type, after which your mobile app will search for the sensor. It will also tell you which network the device is connecting to. After this, though, setup gets a little dicey. The first time I did this, I was taken to a screen that reported a successful setup. When I tested the sensor by dribbling water around it, however, I was not alerted to a leak. Later the next day, I did receive a leak notification—but there was no water around the sensor at that point. I took the batteries out of the sensor to see how the app would respond, and throughout the next day, when I checked in on the app it reported “No leak detected.” I would have expected it to say there was no signal or that the device had disconnected from the network. If the iSB02 runs out of batteries or disconnects from your network, you might not know the sensor isn’t working. What’s worse, a leak could happen and you wouldn’t know it. In my tests, both of the iHome iSB02’s sensors failed to report the presence of copious amounts of water surrounding them. To ensure my first experience wasn’t an anomaly, I hard-reset the sensor and set it up all over again using a different mobile device. This time, however, I got even less far—after notification of setup success, the app sat on a screen that said it was testing the signal level. I watched it for 10 minutes, tried to move on to the next screen, and it just wouldn’t budge. Even turning the phone off and on did not affect this. Even if setup had gone smoothly, the iSB02’s failure to immediately report the presence of water (this is supposed to happen once water touches both prongs on the bottom of either the main or the satellite sensor) doesn’t instill much confidence. And if the main sensor is quickly submerged in water, as might happen if its doused by a burst pipe, it could fail altogether. It’s also worth noting that our top pick in this category as of this writing—the Honeywell Lyric Wi-Fi Water Leak and Freeze Detector—can also detect and warn you about freezing temperatures that could cause a burst pipe, and high humidity that can cause mold growth. What’s more, the entire four-foot cord that connects the Lyric’s satellite sensor is itself water sensitive. Honeywell’s device does, on the other hand, cost much more than this dud. This water leak detector is priced low enough, but you’ll find plenty of alternatives that are much better values.